In this Mormon Stories interview, we meet with Chad Anderson—a licensed clinical social worker in the Salt Lake City area and author of his newly released book, Gay Mormon Dad. 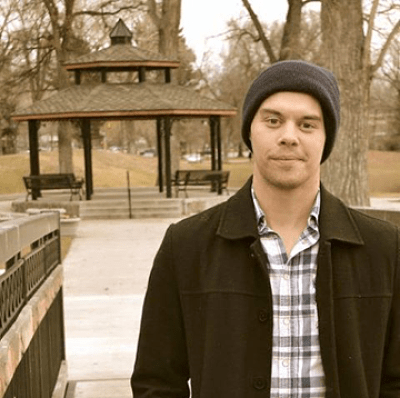 In part 1, Chad shares his story of growing up gay in the LDS Church and his quiet struggle to be completely obedient to God in order to change his sexual orientation. Even though he met all of the Mormon milestones including a mission, marriage, and having children, he found himself unhappy as ever. In part 2, Chad says that all changed when he decided to come out to the world and began to accept his whole self, including his sexuality. Part 3 of our interview also includes a conversation between Chad and John about contemporary LGBTQ events in the LDS Church, including the impact of Prop 8, the November 2015 policy, rising suicide rates among youth in Utah, and the new First Presidency’s impact on the LGBTQ community, among other things. Thank you Chad for being so authentic, genuine and honest telling your story and your truth. I have listened to all 3 parts of your story on Mormon Stories, and I could feel your pain and your hard-won personal growth and triumphs. I send you best wishes for your new life and expanded horizons. You are also helping many people by sharing your journey, your story and your truth. Thank you John for bringing Chad to us. Chad thank you for sharing your story. I could relate with your feelings and your struggles through the years. I commend your courage in coming out the closet. I was convert to the Church in 60’s and moved to Zion in 68 and in 73, my family left the Church and Utah. I use to meet with Pres. Spencer Kimball when he acting president of the Quorum of the Temple. I use to meet with every few months and when I didn’t meet with him I had to send him a letter telling him how I was doing. I even had him pray over me to deliver me from my struggles being gay. LOl! To no avail nothing changed. Looking forward into reading your book. John please keep the stories the stories coming. They are truly a blessing to all of us. Meanwhile, thanks, Chad, for telling your story, and thanks, John, for a thought provoking interview (as usual).